APA-Abidjan (C/Ivoire) — National consultations by Ivorian civil society on the Sustainable Development Goals (SDGs) got underway in the capital Abidjan on Friday. APA-Maputo (Mozambique) — Red Cross teams in northern Mozambique have been reporting serious damage in towns and communities that bore the brunt of Cyclone Kenneth overnight. APA-Gaborone (Botswana) — The ruling Botswana Democratic Party (BDP) has expelled a lawmaker and suspended another on charges of allegedly bringing the party into disrepute. The UK government on Monday urged the Kenyan authorities to restore peace and order in the restive Laikipia region in Rift Valley after a British rancher was shot dead by herders on Saturday night. 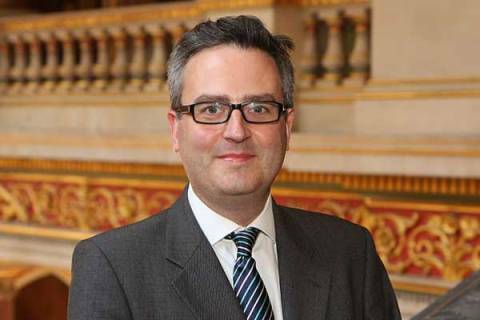 British High Commissioner to Kenya, Nic Hailey said that the murder has saddened and shocked him and urged authorities to restore law and order in the region. Tristan Voorspuy, a UK army veteran of dual Kenyan and British nationality was shot dead at the Sosian ranch which he co-owns. According to reports, he ventured on a horseback to a site visit on the ranch to inspect the damage of two cottages which were set ablaze by the herders. “I continue to urge the Kenyan authorities to take all necessary steps urgently to restore law and order, and to protect life and property in the area,” he said in a statement issued in Nairobi. “Alongside other international partners, I have repeatedly conveyed to the Kenyan authorities over the past months the United Kingdom’s deep concern at the situation in parts of Laikipia,” he added. The herders forced themselves in the ranch with their livestock in search of pasture where they burnt down the cottages. In the past few weeks, herders have invaded a couple of ranches and conservancies in the area. Some officials have blamed the land invasions on a severe drought that has made poor herders desperate. However, ranchers say they are politically-motivated and part of plans to take over their land.